Ofcom has invited applications for seven new UK television channels in Aberdeen, Ayr, Carlisle, Dundee, Forth Valley, Inverness and Stoke on Trent. 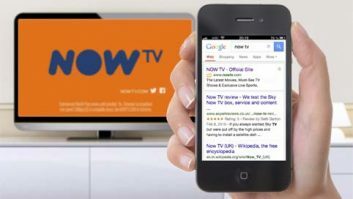 Applicants for the new licenses have until 23 October 2014 to submit their plans, with the winning applicants to broadcast a service on Freeview channels 8 in England and 23 in Scotland. The invitation follows legislation passed in 2011, enabling Ofcom to issue local TV licences allowing the broadcast of local TV channels on digital terrestrial TV. The first phase, in May 2012, saw Ofcom award 19 local TV licenses. In the second phase of local TV licensing, Ofcom invited applications for 18 locations, with licenses awarded to York, Cambridge and Salisbury, among others. Five local TV channels are now broadcasting. The first of these was Estuary TV in Grimsby, which launched in November 2013. STV Glasgow, Scotland’s first local channel, launched in June this year. STV Glasgow has boasted high ratings figures, in contrast to London Live which has struggled with viewing figures. If you would like to submit your nomination for a TVBAward in the Delivery category, click here. Awards for Delivery include Achievement in Fast Turnaround Broadcast, Achievement in Multi-platform Content, and Achievement in Legacy Content. Nominations close on Friday, 8 August. For more information, please visit the TVBAwards website.